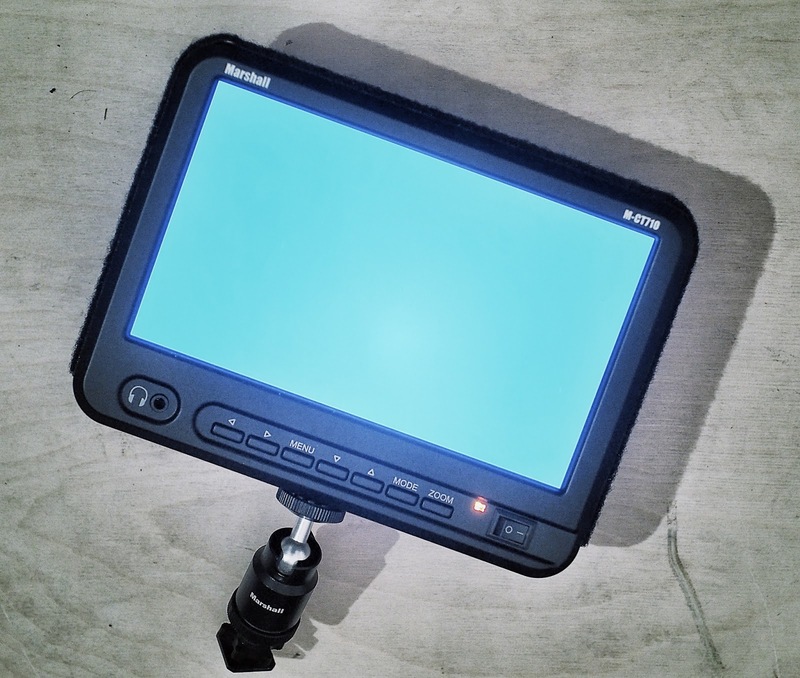 The Visual Science Lab / Kirk Tuck: Kirk buys a seven inch Marshall Electronics video monitor and uses it all day on a still photography shoot. What the hell? Everything comes around. I remember as a kid hearing my dad complain about the fact that he had to move his eye to focus and then compose with his Leica IIIc. He was so happy when he didn't need to do that with his later cameras (though I'm not sure his photographs were any better). Very interesting. I had no idea focus peaking is a function of the display. I'd just assumed it was internal to the camera's focus/software voodoo. Michael, I think it's the coolest thing about external monitors. You can add peaking (and a bigger view) to just about any modern camera for around $300. Less if you look hard. And it does work. Interesting! I've used a Camranger before when working with a designer who needed to see my shots as we worked together. This is an intriguing option with the focus peaking. Since I shoot with Nikon and Fuji cameras this might just be a good cross platform solution. Where is the monitor mounted? Is it attached to the camera on a bracket or on a tripod? It seems a little large to go on the hot shoe.